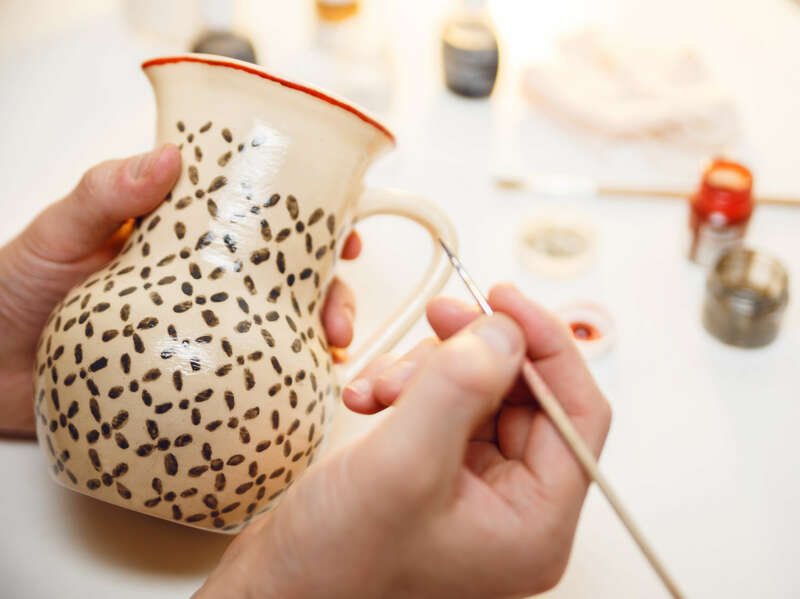 An artist can start a small pottery business with just a few supplies, a kiln and the imagination needed to inspire people to purchase their wares, but it can be much more productive with a little knowledge, planning and help before starting out. It is a good idea to learn from someone who knows more about the art and the business than you do. Most potters are very agreeable to taking on an apprentice, and working for an established potter can give you valuable insight that might take years to gain on your own. If you are going to make a living from your pottery, you must realize that your art is your business and not a hobby. Mixing art and business needn’t be a problem if you remember to keep proper records and regular work hours. Many small businesses have had difficulties arise from letting artistic flair overwhelm the business side of the operation. Once you are in business for yourself, find your creative center and produce pieces that show your own vision and that will be unique and associated with your particular style, as this will be what defines you when compared with all of the others plying their wares. Consider where to sell your art pieces. Many towns and communities have art and craft shows that actually produce good sales numbers and might be a good place to start. Online sales and auction sites are another good choice, but there is a lot of competition in this market and it takes time for potential customers to find you. Consignment shops are also a good option, allowing you to take advantage of dedicated retail space without having to rent that space yourself. Of course, as with any kind of small business, planning is a must, and marketing your work will be one of the first steps you’ll want to take to encourage sales. Any pottery business plan you create will need to inclde a strong marketing strategy. Doing what we love and making our living from it is a noble and attainable goal and can be very satisfying if a few proper steps are followed.